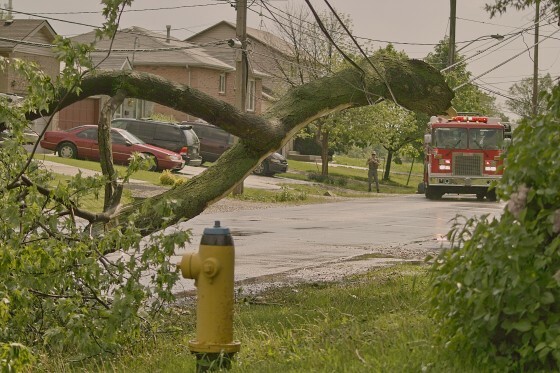 Windsor was walloped with a powerful storm burst around 4pm on Wednesday afternoon. Several lighting strikes touched ground. There was also a brief surge of torrential downpours accompanied by powerful gusts of wind. Visibility at that point was nil. 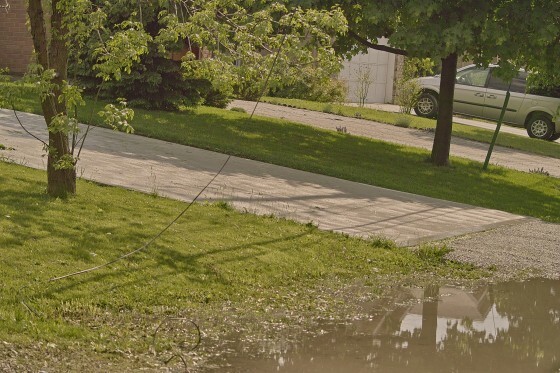 Immediately after the storm surge ended, Windsor Fire & Rescue was dispatched to Grand Marais East near Langlois for a tree that had collapsed onto a hydro line. Another fire engine was sent to the 3600 block of Turner to deal with a a large tree that was struck by lightening and was badly damaged. It didn’t end there, however. 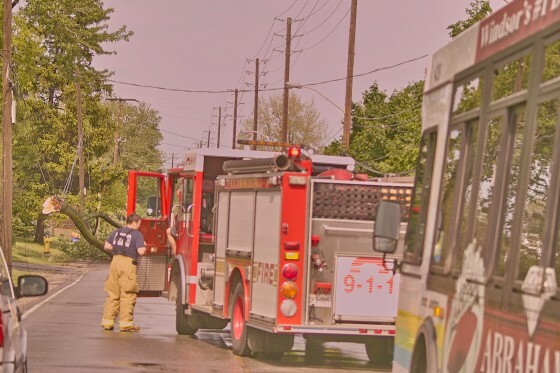 A short time later, Windsor Fire was also sent to Bruce and Grand Marais for more downed power lines. 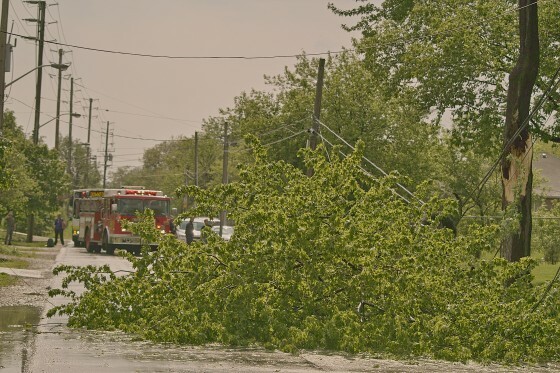 At 5:33pm, Windsor Fire responded to the 3500 block of Rankin to deal with a tree that had caught on fire from more downed hydro lines. To make matters worse, nearly all the traffic lights in the vicinity were flashing reds. This, accompanied with omnipresent construction and rush hour traffic proved to be a commuter nightmare. 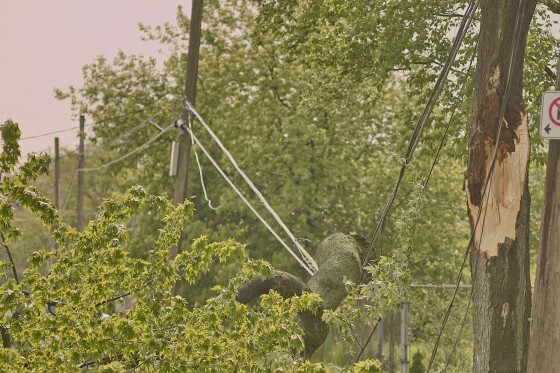 A trees falls onto a power line on Grand Marais near Langois. Windsor Fire & Rescue arrives on the scene.